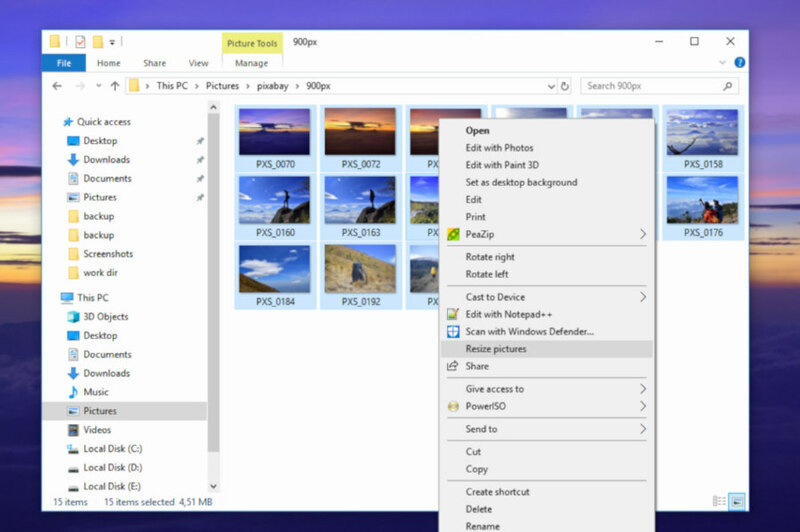 Windows 10 has no built-in tool that allows you to resize multiple images at once. Image editing tools like Photoshop and GIMP also have no capability to accomplish this purpose since they are designed to handle a single image. In Linux, you can resize multiple images at once using mogrify command which is a part of ImageMagick. What about Windows 10? There is a handy tool named Image Resizer for Windows which you can use to resize multiple images at once in Windows 10 (and other Windows versions). It is a free tool. This tool works by integrating itself in a Windows 10 system. 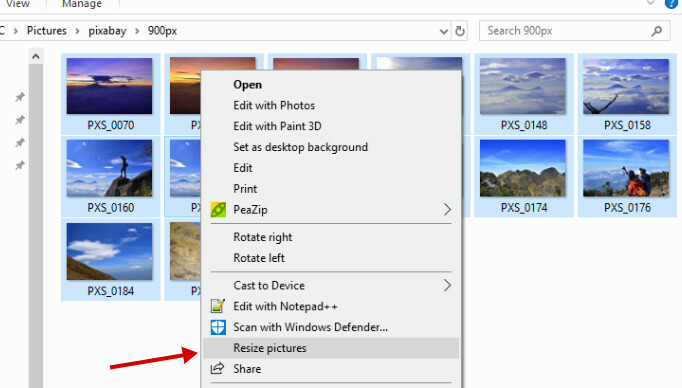 Once you have installed this tool, you will find a new item named “Resize pictures” when right-clicking an image on File Explorer. The item also shows up when you select multiple images and perform a right-click. 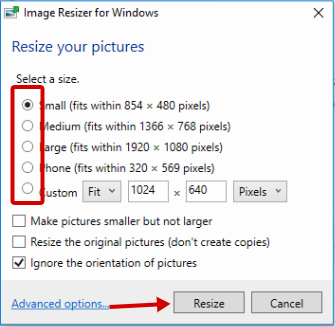 The Image Resizer for Windows window will appear once you select Resize pictures option when right-clicking images on File Explorer. There are four predefined sizes offered by this tool. You can also set a custom size on the Custom section. Once you are done setting the size, simply click Resize button and the tool will start resizing your images. By the way, you can download Image Resizer for Windows from its official site. You can also follow the development cycle of this tool on its GitHub page.